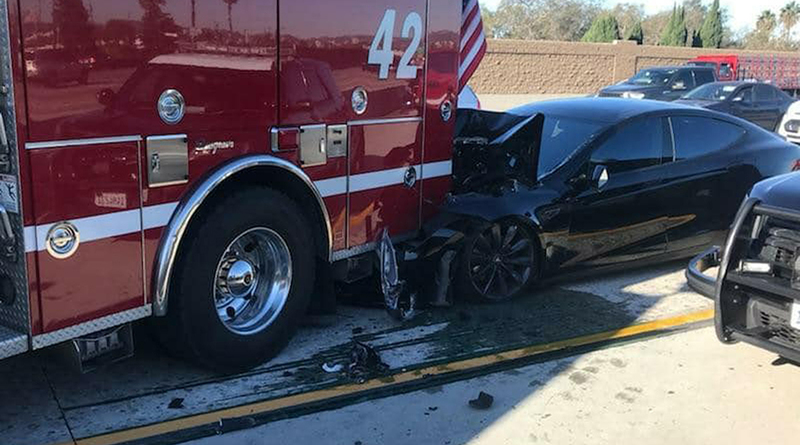 The U.S. National Transportation Safety Board is gathering information about an accident involving a Tesla Inc. Model S sedan that rear-ended a firetruck on a freeway near Los Angeles on Jan. 22, the agency said. The safety agency has not yet decided whether it will open a formal investigation of the crash, NTSB spokesman Chris O’Neil said in an email. The safety board only investigates a handful of highway accidents each year. The Tesla’s driver said he had the vehicle’s Autopilot driver-assist system engaged when it struck a firetruck at around 65 miles per hour, a union for Culver City, Calif., firefighters said in a tweet on Jan. 22. “Amazingly there were no injuries! Please stay alert while driving!” the union said in the tweet.